NONGPIMMY - I'm just blogging: I've just bought boots. Boots with the fur. Finally I decide to have it. It's nothing just bought. Money's gone then money's back. Dare to buy and dare to wear. 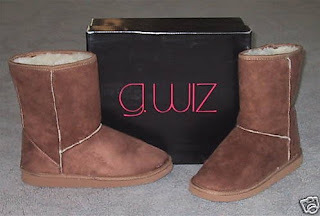 It's about the feeling inside I want it I want flat boots (like ugg style) but I live in such a hot country. But I (try to) don't care. Sale 50% off. I've been watch it for a while till it sale. I want to know how warm they are.